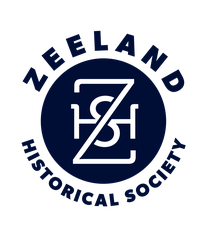 Dekker Huis/Zeeland Historical Society Museum officials are looking for volunteers who are interested in the city's history. The museum is in need of docents and greeters, Anna Van Deventer, museum manager, said. She said the museum, located downtown at 37 E. Main Ave., is seeking docents to help lead small tours and answer questions for museum visitors along with greeters to welcome museum guests and answer phone calls. Van Deventer said the museum currently has about nine docents but she would like to have at least 20 people trained in the position. About six to eight greeters also are being sought. Van Deventer said docents receive about four to six hours of training about the museum's numerous exhibits and the history of Zeeland. She said greeters aren't required to go through training. The museum's permanent exhibits include the Pioneer Room filled with items from settlers who came from the Netherlands, a log cabin home, Huizenga's Grocery and Market store, first Zeeland bank, and a Victorian parlor. Also currently on display is the temporary exhibit "Winter Memories" that features old-fashion indoor and outdoor winter scenes. Dorothy Voss has served as a docent since the museum was established in 1976. She also sits on the Zeeland Historical Society Board. Voss said the job of a docent is enjoyable and helps preserve the area's history. Another benefit of the volunteer position is meeting local people as well as visitors from all over the world. "I find so many local people bring out-of-town visitors to the museum - you meet people from all over," she said, adding she's met someone from as far away as Australia. In mid-March, the museum's hours will change to 10 a.m. to 6 p.m. Thursdays and 10 a.m. to 2 p.m. Saturdays. Van Deventer said with more docents, the museum will be able to be open longer and more days of the week. For more information on becoming a docent or greeter, call Van Deventer at 748-1953.